Familiar with air plants? They are set to become the new houseplant craze – with no soil needed and only the occasional mist. In fact, air plants take even less looking after than the hugely popular cactus, which is still proving a massive hit with home-owners (and Instagrammers). Wondering how this is possible? 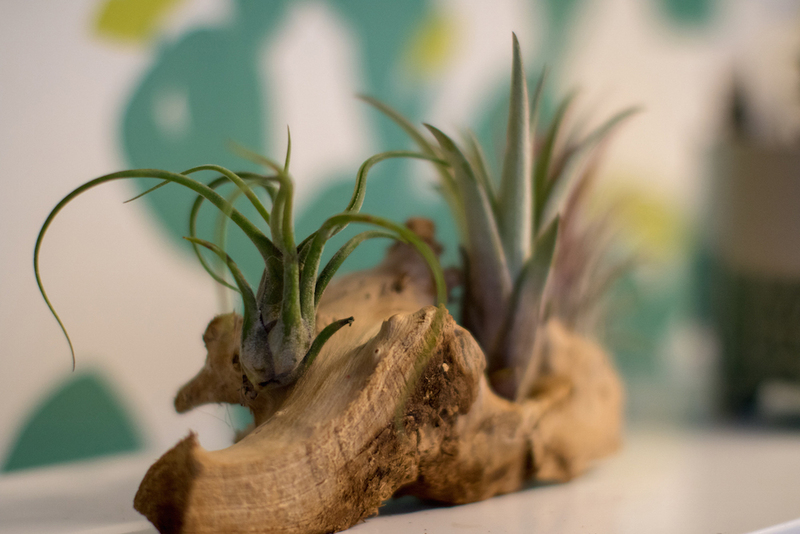 Air plants, which come from South and Central America and the Southern States, have no roots to plant in soil. And they can create all sorts of looks – from trailing foliage, which drapes from shelves like thick silver curly hair, to more structured specimens, whose leaves change colour to fiery red and produce bright flowers. 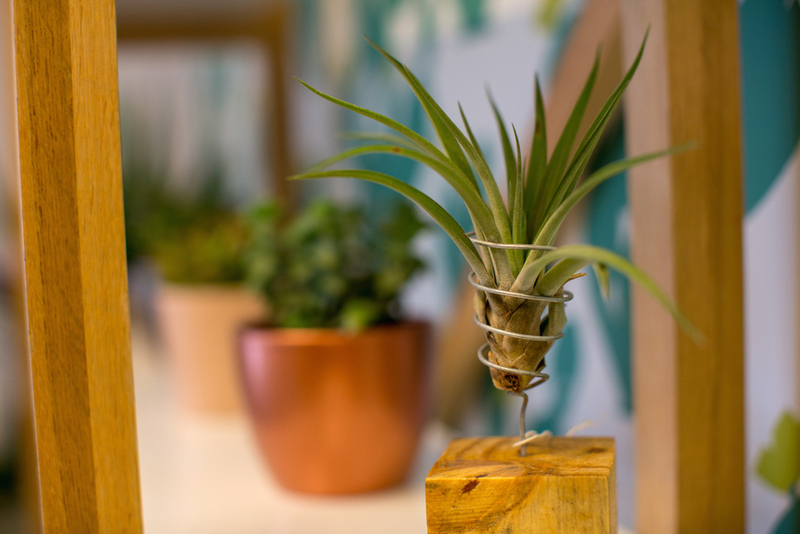 “There’s a craze with houseplants at the moment, and the thing about air plants is that they don’t take up much space, there’s no mess or soil-borne fungus or gnats. 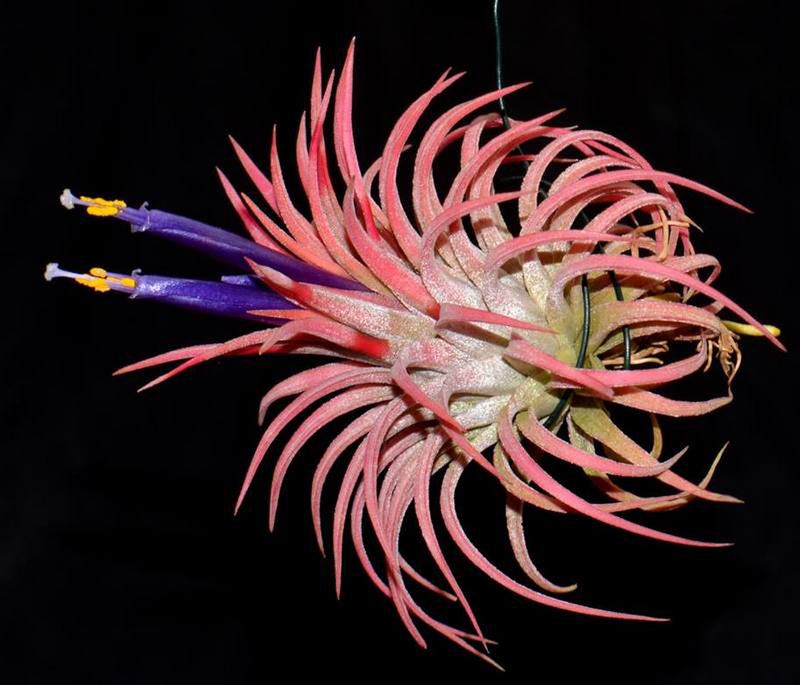 They are structurally interesting and very low-maintenance,” says air plant specialist Andy Gavin, who won a gold medal at every RHS show he attended in 2018 and is due to exhibit for the first time at Chelsea Flower Show this year. 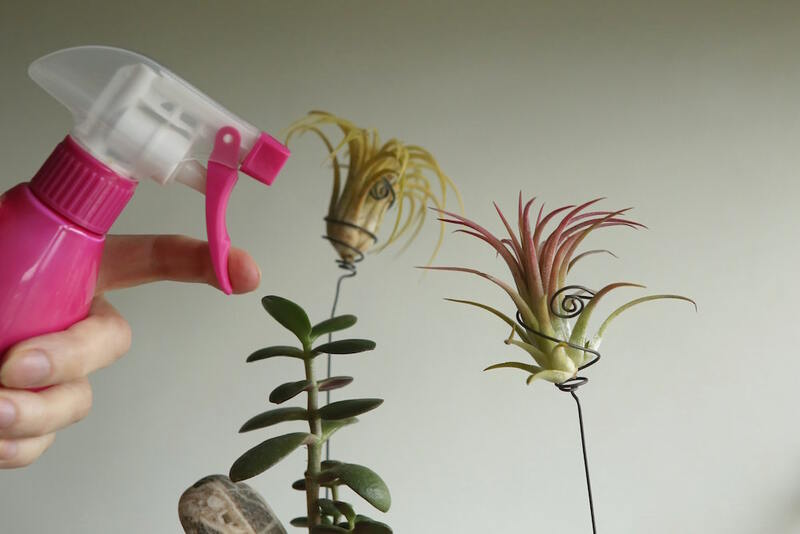 “Air plants are highly collectable. There are around 700 species in the wild, hybrids, and so much variety. You can have one species and 10 different forms of it,” adds Gavin, who runs Andy’s Air Plants (andysairplants.co.uk) from his base in Cornwall. Which Ones Can You Buy? 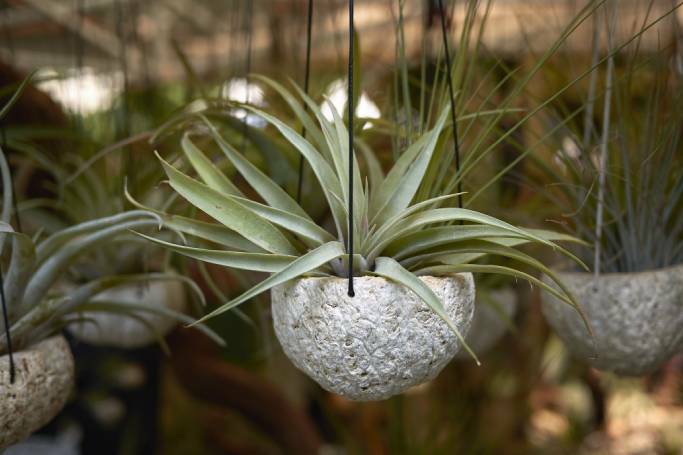 “You can find air plants in garden centres, a few nurseries and a few online sellers. There are about 30 species that are easily available, all in the genus Tillandsia,” says Gavin. Tillandsias are in the bromeliad (or pineapple) family. 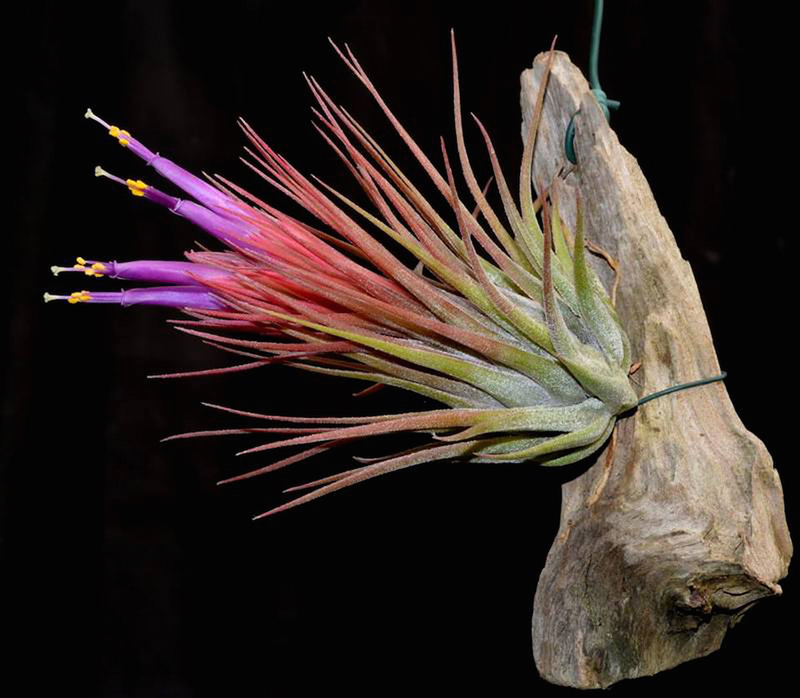 The ones you are likely to come across include Tillandsia ionantha (which means purple flower). “Yes – the bromeliad is a flowering plant family. All members of the species flower, and the flowering is hugely varied in tillandsias. You can have white, yellow, red, lots of lilacs and purples,” says Gavin. Sometimes the petals are tubular, which then open up, while others have bi-coloured flowers. A few, around 10-15%, are fragrant. Tillandsia multiflora is one of the many species that changes colour when mature and about to flower. The ionanthas also change colour from green/silver to a fantastic red colour, as though they are blushing. All air plants need plenty of natural light. There are two main categories – the silver ones, which are dry growing, and the green ones, which are wet growing. Silvery-leaved species require, or will grow better, in higher light levels, so can be put in direct sunlight. Species that are covered with fine hairs/scales or trichomes, giving them a soft hairy appearance, and species with fine leaves, need good air movement and quick drying. Tillandsia types which are green or darker in colour, often with wider, shorter leaves and less or no visible hairs or scales require lower light levels, and will grow happily with less air movement in a more humid environment. These would be happy in a bathroom with plenty of light. Can you put them outside in summer? Their general hardiness is 4-5°C, so they will need to be inside during the cooler months. Growth rates slow down in less than ideal conditions. Is There A Rule For Misting? Silver types need wetting and drying. The drying is important. They need good air flow around them and once misted, must be dried quickly. “Give them a little mist in the morning, then they have the day in a sunny spot to dry. Mist them once a week in the winter, but in summer when you have good light levels and a lot of sun, you can mist them more,” says Gavin. Generally, through the spring, summer and autumn, you should be watering your plants three or four times a week, and only once a week in the winter. In terms of maintenance, as well as misting – once a year you can peel off the oldest dying leaves and maybe trim the ends of the leaves. “Quite often, you see them in glass orbs, but it’s not ideal for their growth, as air plants rely on air movement,” says Gavin. “You don’t want to be pushing them into anything. They look good among shells and on shells, but not stuffed into a shell. “They need to be on things, rather than in things,” he adds – which is why displaying them on wood can be particularly effective. Air plants can grow freely, just hung on a bit of wire too. 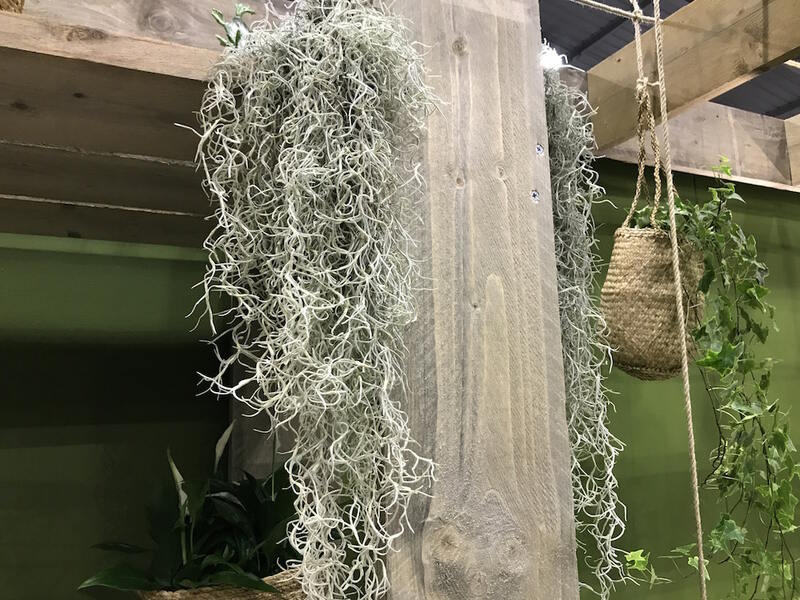 Spanish moss, which drapes down like curly hair, is available in the UK and looks good as a trailing plant. This can just be hung on wire; it only has roots as a seedling but the mature plant just hangs. “You can arrange them on a table top or a large saucer, like a dinner tray, or I like to tie a bit of wire around the rosette and hang them. You can use colourful aluminium wire, but don’t use copper as they are allergic to copper,” suggests Gavin. “You can also tie them on to bits of driftwood, which makes for a very attractive arrangement. “A lot of nurserymen use stockings: They rip off a bit of stocking or tights and use a small strip to tie them on, because the material has flexibility and a bit more give.